Blue Water is a digital experience agency that creates websites, apps, videos, and more. Their 360 degree digital services include consulting, strategy, and integrated marketing campaigns. Blue Water will work with you to develop a comprehensive brand strategy that helps position your company, and ensure that it stands out and remains memorable in the mind of the consumer. Fresh content engages users, which is why the majority of websites Blue Water builds let owners and administrators manage content in real time. But before choosing a content management system, it is important to define your website's goals. They will recommend a content management system based on your needs and the varying experience levels of your staff. For requirements that cannot be satisfied with an existing content management system, Blue Water develops custom solutions based on your specific needs. Full training is also available as part of any implementation to ensure your team fully understands how to manage the site. Blue Water's content marketing is not a single strategy, but an assortment of stratagems, processes and tactics that when successful, will maintain content quality and ensure that it is meaningful and relevant to the end user. It will also match the content and messaging to customer needs in a consistent and relevant manner, and keep content, including the copywriting, on-brand regardless of the customer touch-points. Blue Water's digital strategy transforms business objectives into digital solutions that work. The solution lies where Data, Technology, Creative, and Marketing converge, also known as their Digital Convergence Model (DCM). Blue Water focuses on the organization’s vision and goals while also considering the broader opportunities and risks that digital tactics can potentially create. They then factor in business intelligence, collaboration, new product/market exploration, sales and service optimization, enterprise technology architectures and processes, best practices, innovation, governance and more—always ensuring their decisions are data-based and keeping gut instinct off the table. The result is a hard-working digital strategy that becomes the jumping off point for the creation of a brand-relevant, results-oriented experience for your audience. Blue Water's e-commerce website design expertise includes strong information architecture, in sync navigation, alluring images, and development of open source shopping carts, proprietary carts, or custom built shopping carts and more. In addition, Blue Water will provide you with proven e-commerce marketing strategies to ensure your e-commerce website will attract new customers, convert them to sales, and bring them back for their next purchase. Blue Water knows it as important as ever to develop a digital strategy that includes an integrated marketing campaign. This ensures communication strategies are unified across all channels and centered around the customer —not to replace traditional media, but to maintain consistency over all mediums. They also ensure that each channel and message is working toward the overall business goals and objectives. Attribution modeling is used to show how their traffic is touching multiple channels before making a purchase or completing a goal. Blue Water's complete end-to-end services for mobile website and mobile app development span all major platforms including iOS, Android, and Windows Mobile. Their mobile capabilities include mobile strategy, mobile websites, and native mobile apps. Blue Water's solutions are more than just a sized down version of desktop – they take advantage of geolocation and user history to deliver an engaging personalized mobile app experience. Blue Water’s social media management can help you better understand the tools available to you, the benefits of the different networks, and most importantly, help you plan and execute your social media strategy accordingly. Blue Water will assist you in selecting the social networking platforms that are most relevant to your business and target audience and create profiles, taking care to maintain your established brand identity. 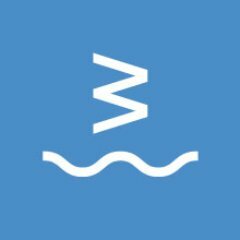 Once your social media campaigns have been formed, Blue Water will develop and maintain an editorial calendar that maintains messaging and themes across the social media platforms. They also engage with your target audience and influencers in order to build followers and audience as well as develop, execute, and optimize paid social media campaigns as necessary. Blue Water’s custom software development services and web application development are designed to deliver measurable business results. They do this through the rapid application and support of advanced technologies. Not only does Blue Water create and implement responsible emerging technologies, they also retain technologies to repurpose components for future needs. When 3rd party applications are not available or cost-effective, Blue Water is able to customize pre-existing core technology, speeding time to market, cutting costs, and ensuring quality. Blue Water believes that user experience is more than just a user interface. Armed with user data taken from the real world, their team constructs user experiences that are fast, efficient, error-free and leave the user feeling satisfied and amazed. RapidUX is their custom process that allows them to efficiently gather that data, and give them a true picture of user needs. Blue Water's UX experts will work with you throughout the development project and after launch to ensure that you are providing and maintaining a great user experience that inspires your users, informs your customers, and keeps visitors coming back to your brand. Blue Water embraces video as an important part of the brand ecosystem and are experienced in producing all facets of video content. From 3:30 minute ‘high-octane’ content pieces that grab the user’s attention the minute they land on the page, to traditional 30-second television commercials and brand videos, Blue Water understands the power of the moving picture. Ultimately, no matter where video lives (TV, Internet, Mobile), or no matter what we may call it (web-documentaries, webisodes, virals, advertainment),Blue Water's one overriding goal is to create brand-aligned content that speaks to audiences, and more importantly, that provokes the audience to talk back. Share-ability is paramount. Blue Water's website design is more than just beautiful images. It tells your audience a story, conveys your brand personality, and engages and informs the user, while at the same time inspiring them to take action. Blue Water uses an ‘agile’ website development methodology. Agile is a process whereby solutions evolve through collaboration between self-organizing, cross-functional teams. This allows us to complete small portions of the deliverable in short two- to four-week-long delivery cycles called sprints. This unique process promotes adaptive planning, evolutionary development, early delivery, continuous improvement, and ultimately, encourages rapid and flexible response to change. The end result is a development product or project that best meets clients needs and is delivered with minimal costs, waste, and time, enabling companies to achieve bottom line gains earlier than via traditional approaches.